The Dogon people of Mali in West Africa have a Space history, and it's quite a compelling one too. Located in the middle of the desert on the South East corner of Mali; "they seem to know things about astronomy which they shouldn't have been able to know," says Laird Scranton, an author. Scranton has authored a number of books two of which are; The Science of the Dogon (Decoding The African Mystery Tradition) and Sacred Symbols of the Dogon (The Key to Advanced Science in the Ancient Egyptian Hieroglyphs). Nobody knows where the Dogon got this incredible ancient knowledge from, except the Dogon themselves who have done a wonderful job of preserving their traditions for centuries. Since they have no written language, they put a high priority on the purity of the spoken language. 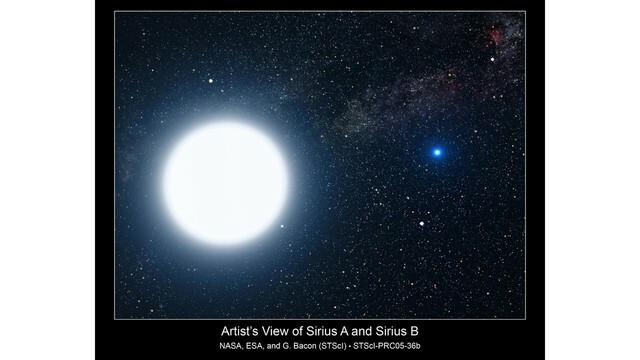 They know facts about the Sirius star system without having access to modern telescopes and other equipment and speak about the second star which cannot be seen by the naked eye. The Dogon have called it the dark star for centuries long before it was discovered by astronomers in the middle of the 20th Century. They know the correct orbital period of the two stars, Sirius A and Sirius B.
Dogon priests say their cosmology describes how a tribal god Amma created matter. Their knowledge is so amazing in that they have linguistic definitions for the scientific concepts of the Atom, Proton/Electron Neutron, Fundamental Particles and the Four Spin Categories of Particles. They also know that Matter forms Membranes, the Calabi-Yau space, how Matter begins as waves and that it vibrates. They describe how matter is woven from threads, a modern scientific concept that describes matter as woven from strings. Read also: The Museum of Unnatural History's post about "The Dogon, the Nommos and the Mystery of Sirius B"